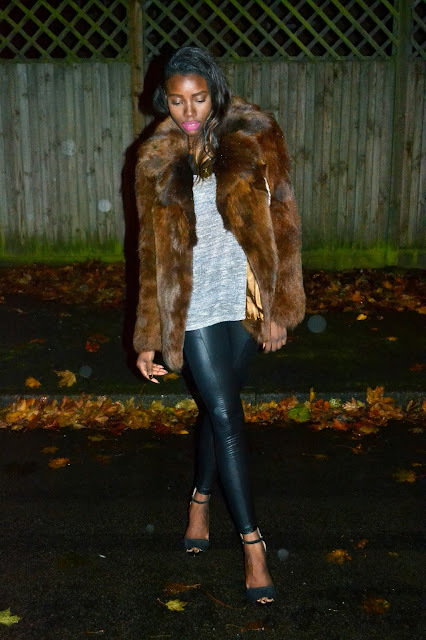 There's something about wearing a fur coat that gives me this new found confidence or attitude should I say. It's like the minute I slip it on I start to feel bigger than life itself and get a bit carried with myself. If you've ever worn a fur coat then you might understand what I mean, it's a bit like wearing heels, when you put them on you start to feel very feminine and lady like and strut about like your on a catwalk even if you're just walking about in your bedroom.